Sundaram Tagore, in partnership with Tagore Foundation International and the Hong Kong Arts Centre, and with generous support from the National Arts Council of Singapore, presents Jane Lee: Red States, an exhibition by acclaimed Singaporean artist Jane Lee at the Hong Kong Arts Centre, 2 Harbour Road in Wanchai. 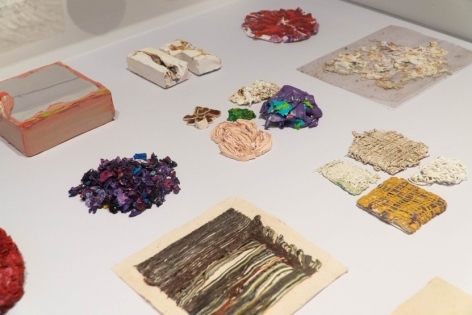 This defining, mid-career presentation, which includes a retrospective selection of studies and maquettes that trace the chronology of Lee's practice, is the artist’s first solo show in Hong Kong. Jane Lee first came to critical attention in 2008 when her massive installation Raw Canvas—on view now at the National Gallery of Singapore—was featured in the Singapore Biennale curated by Fumio Nanjo. 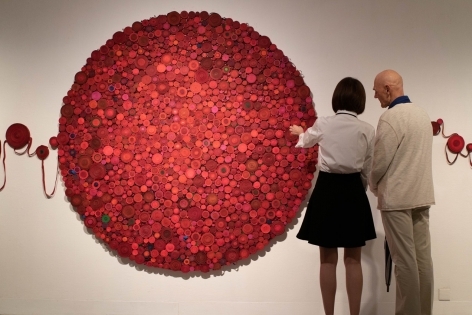 As one of the few Asian artists producing monumental, sculptural paintings, Lee’s work was a highlight of Medium at Large, a yearlong exhibition at the Singapore Art Museum (2014–15), where her large-scale wall-mounted installation Status was acquired for the museum’s permanent collection. Paint, canvas, frame, orientation and dimension—all are variables in Jane Lee’s hands. Through assiduous processes of layering, mixing, winding, wrapping, kneading, daubing and other acts of physical transformation, the artist redefines paint and painting to produce dynamic and bold forms. 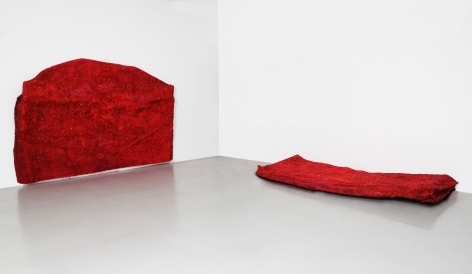 Red States comprises a diverse yet cohesive mix of new sculptural paintings and site-specific installations produced for this presentation. 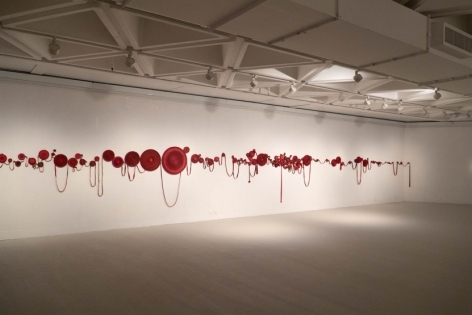 The exhibition spans all levels of the Hong Kong Arts Centre’s Pao Galleries, with paintings, sculptures and a large-scale installation suspended from the ceiling on the top floor, accompanied by studies and reference materials tracing the evolution of Lee’s practice on the lower level. 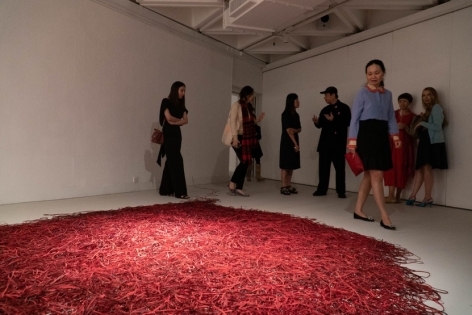 The retrospective portion of the exhibition is curated by Michelle Ho, assistant director of Singapore’s ADM Gallery at the School of Art, Design and Media, Nanyang Technological University, and former curator at the Singapore Art Museum. 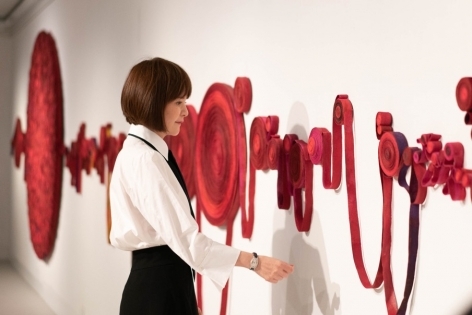 Included in the show are works that expand on earlier series including Fetish, one of Lee’s most celebrated group of paintings, begun in 2009, in which she employs her trademark technique of hand-twisting sinews of dried paint into coils to produce intricate, tactile surfaces articulated in opulent color. Also on view is Cream, a body of work that evolved from her Stack series, which she began in 2014. 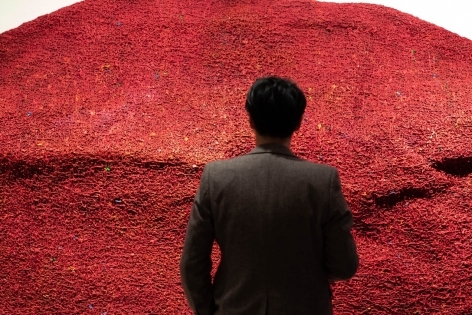 The installation comprises eight bubble-gum pink sculptures, which the artist has decisively poked, punctured and gouged to reveal vibrant swaths of crimson hidden beneath the surface. 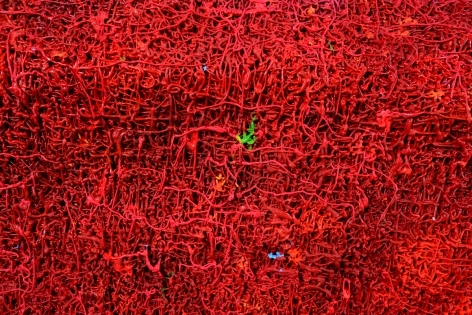 As the title Red States suggests, the color red dominates this new body of work—not as a single color, but in a spectrum of shades that mirrors the range of its associations—from passion and action to blood and life to cultural and political references to luck, auspiciousness and the representation of people and the nation. 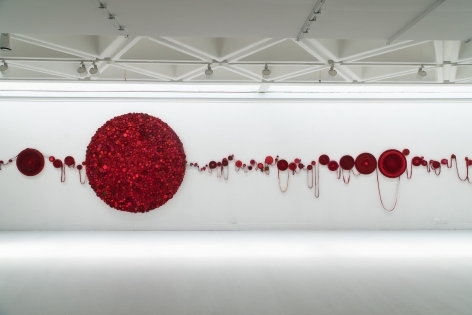 Just as red takes on and projects a multiplicity of meanings and effects, with this exhibition, Lee vividly presents the many states of paint and painting. A printed catalogue with an essay by Michelle Ho will accompany the exhibition. 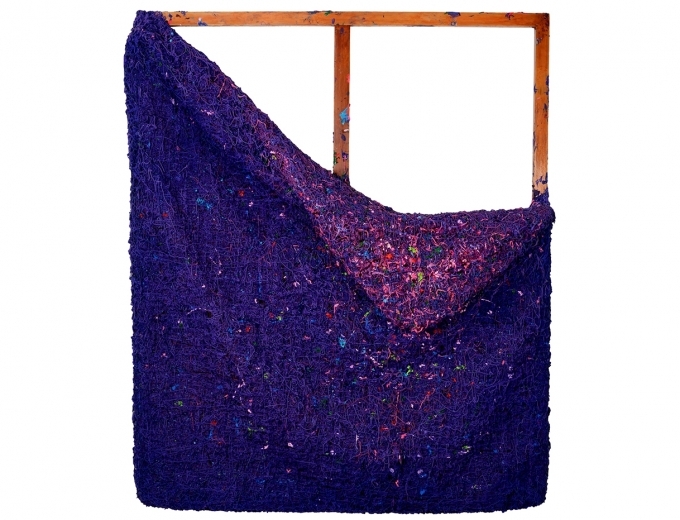 Challenging conventional notions of what constitutes a painting, Jane Lee’s lush, abstracted works have garnered international acclaim and inclusion in exhibitions across the globe. Operating in a post-colonial contemporary Southeast Asian context, Lee re-examines the significance of Western painting practices while asserting her own process and culture. 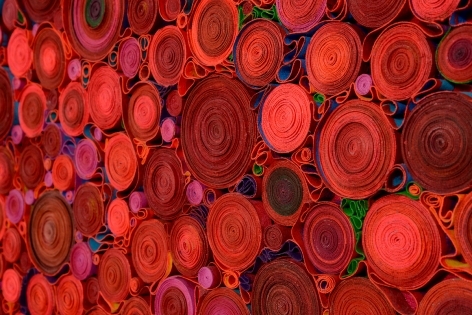 Lee’s installation Raw Canvas, featured in the Singapore Biennale in 2008, was also shown at the Vilnius Contemporary Art Centre, Lithuania, as part of the Code Share: 5 Continents, 10 Biennales, 20 Artists exhibition curated by Simon Rees in 2009. 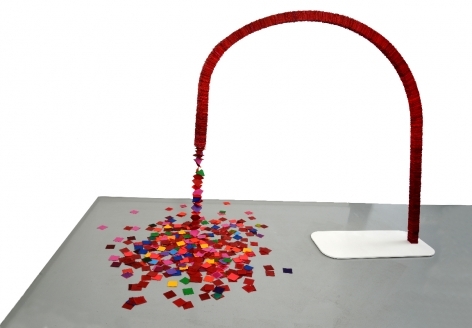 Since then, Lee has received numerous accolades, including the Celeste Prize for Painting in 2011. 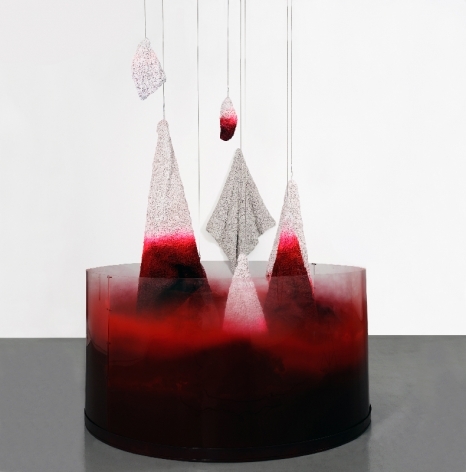 Lee has exhibited work in solo shows at Sundaram Tagore Chelsea (2012) and Sundaram Tagore Singapore (2014). 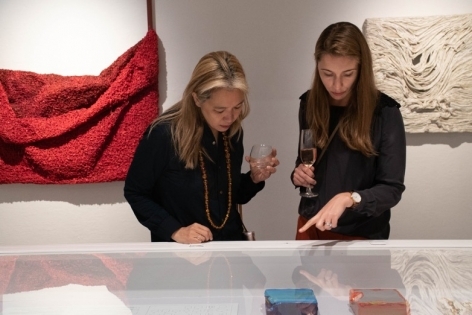 She has had a particularly strong presence since 2015: her work was shown alongside eight other contemporary Singaporean artists in Dear Painter, curated by June Yap, former Guggenheim UBS MAP Curator, South and Southeast Asia, at Sundaram Tagore Singapore. Lee was also featured in Prudential Singapore Eye, one of the largest surveys of Singaporean contemporary art. In the same year she also participated in the group show Frontiers Reimagined, an official Collateral Event of the 56th Venice Biennale. Following a residency at the Singapore Tyler Print Institute, Lee debuted a solo exhibition of works there, Freely, Freely (2016), using paper and also forayed into video for the first time. She most recently presented work in a solo presentation at Art Basel Hong Kong in 2017. Jane Lee received a B.A. with honors from LASALLE College of the Arts. She lives and works in Singapore. 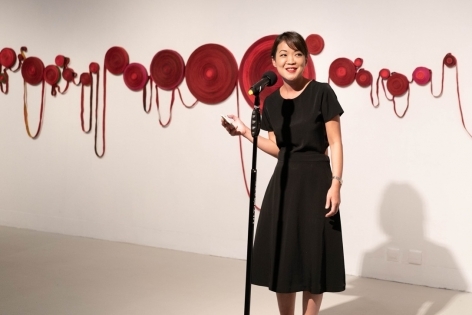 Michelle Ho is gallery director of ADM Gallery, Nanyang Technological University, Singapore, where she is spearheading a renewed vision of contemporary art, design and media programs, with an emphasis on new media. She has more than ten years experience curating Singapore, Southeast Asian and international contemporary art exhibitions, which include Rise and Fall, Ebb and Flow: Works of Jane Lee (2017), In Praise of Shadows (2017), The Art of Conflict: Video Works from the Asia Society Museum Collection (2017), Time of Others (2015–2016) and The Collectors Show: Weight of History. 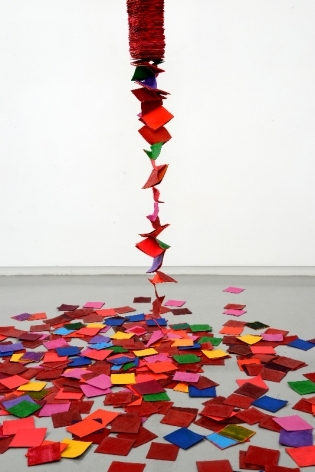 She was also co-curator of the Singapore Biennale 2013. Formerly a curator at the Singapore Art Museum, she has led the acquisition strategies of its contemporary art collection, and was in charge of its Thailand collection. Hong Kong Arts Centre (HKAC) is Hong Kong’s only independent non-profit multi-arts institution offering a broad range of arts programs and events including exhibitions, screenings and performances in the disciplines of visual arts, dance, music and theatre, film, comics and animation arts and public art. Its arts education arm, the Hong Kong Arts School, remains Hong Kong’s only studio-based arts educator, offering degree-bearing undergraduate and master programs. Located in the heart of the Wanchai district, HKAC is an important destination for arts and creative inspirations connecting the arts of Hong Kong to the rest of the world through programs and collaborations. 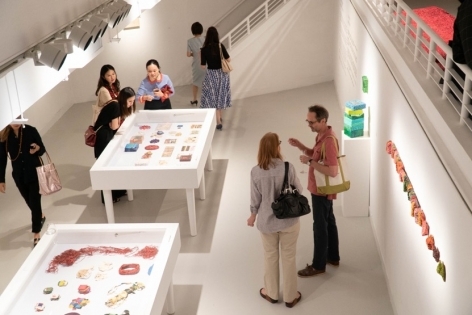 As part of its fortieth anniversary celebrations, HKAC has renovated its public facilities and rebranded to strengthen its core concept of “Arts at the Centre” and continues to promote internationally the development of local and Asian contemporary arts. Tagore Foundation International is a nonprofit organization devoted to intercultural dialogue based in New York City. It is committed to arts education and the promotion of social, spiritual and aesthetic dialogues between Asia and the West. The ideals of Tagore Foundation International were inspired by and are deeply enmeshed with the ideals of Rabindranath Tagore (1861–1941), whose poetry, fiction, music and art have touched the lives of people all over the world. The foundation has provided scholarships for students in India and Mozambique and a permanent scholarship fund at the College of Wooster, Ohio in the United States for the education of disadvantaged young women. The foundation also actively organizes and sponsors cultural events in the United States, Hong Kong and Singapore that encourage intercultural dialogue.